As explained in the previous post, the Yakut (Sakha) people have adapted more easily to the demands of the Russian state, and of modernity more generally, than most other indigenous peoples on Siberia. 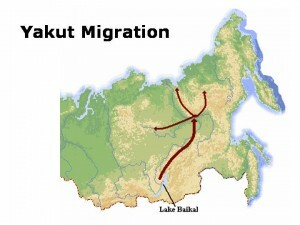 The relative success of the Yakut is best understood historically. Relative newcomers from the south, the Yakut moved into central Siberia with a more advanced technology and a more complex social order than those of the earlier indigenes of the region. Facing the brutal winters of the central Lena River Valley, the immigrants underwent an ordeal that stripped away part of their original material culture. 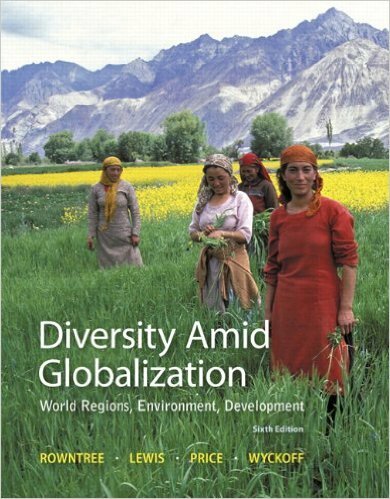 Successful adaptation to their new environment, however, allowed them to expand in numbers and territory, acculturating peoples of diverse cultural backgrounds into their own society. 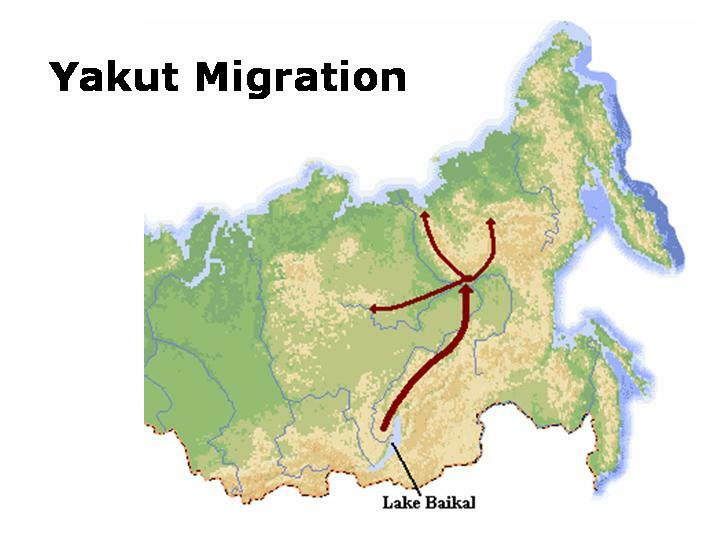 Yakut legends put their homeland near Lake Baikal in south-central Siberia, an area now occupied by the Mongolian-speaking Buryats. The two people must have interacted extensively, as roughly one-third of the Sakha vocabulary is of Mongolian origin. Relations were not always cordial; the Yakuts tell stories of their ancestors being driven into the northern forests by the Buryats. Scholars have suggested dates for the migration ranging from the early 11th to the 13th centuries. Their exodus was no doubt traumatic; before their displacement, the Yakut raised horses, cattle, sheep, goats, and camels, but only horses and cattle survived the transition. 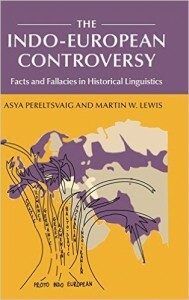 They originally seem to have had knowledge of the Old Turkic script (“Turkic runes”), but literacy was not maintained. Sophisticated metallurgy, however, was, giving the Yakut an advantage over other Siberian peoples (groups such as the Evenks could work iron, but could not smelt it from raw ore). Military knowledge was also retained. The armored Yakut cavalry met by the first Russian interlopers were said by some to resemble the knights of medieval Europe. [T]he Yakuts and Tuva are somewhat removed from the other populations in the Mongol-Turkic MDS cluster in the direction of the Evenki and Yukaghirs. And with Yakut diversity levels that are intermediate to northeastern Siberians and Mongol-Turkic groups from south Siberia, these results may be indicative of some degree of admixture with indigenous groups and/or differentiation after the Yakut migration northwards to the Lena river basin. The pastoral way of life of the newcomers hardly seemed possible in the taiga of Siberia, where the dark forests offered scant pasturage. The Yakut were saved, however, by their discovery of the meadows and prairies that dot the forestlands of the middle Lena Valley. 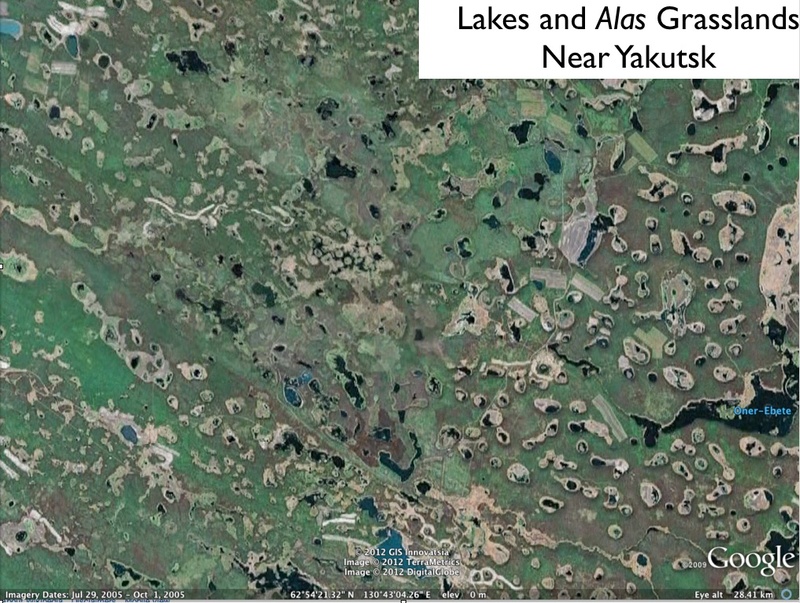 In the Sakha language—and now in the vocabulary of science as well—such an isolated grassland is called an alas. In its stereotypical form, an alas is centered on a small lake that is surrounded by concentric vegetation zones as the soil becomes drier as one moves away from the core. The inner belts are marshy, while the intermediate rings support seasonally lush grasslands, offering ample forage for livestock. The outer zone, on the other hand, is often dominated by wormwood, a tough, drought-adapted plant in the same genus as sagebrush (Artemesia). 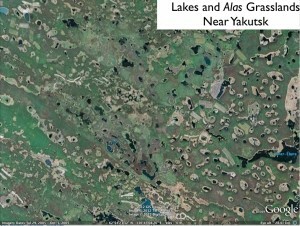 Typically oval-shaped, alases were formed by the melting of an area of permafrost, the otherwise perennially frozen sub-soil layers that underlie most of the Siberian landscape. Forest fires or other natural phenomena can lead to an unusually deep summer thaw, which can subsequently result in surface subsidence. The depression so formed fills with water from the melted permafrost. In time, such lakes shrink and sometimes dry out completely, due to sedimentation and the accumulation of organic matter, as well as the semi-arid climate of central Sakha. Under grassland conditions, fertile soil is generated, creating environments much more productive than those of the surrounding taiga. 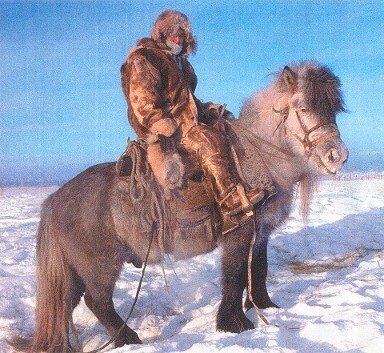 The alas pastures proved perfectly adequate for the hardy Yakutian horses, discussed in a previous GeoCurrents post. Despite the frigid winters, horses are able graze outdoors throughout the year. But the Yakut cattle, although more cold-adapted than other breeds, could not tolerate winters on their own. As a result, the Yakut had to cut hay assiduously during the summer, storing it as winter feed for their barn-enclosed herds. Hay cutting is a laborious job, and to this day the Yakut tell stories of their ancestors’ more idyllic way of life in the southern grasslands, where such labor was not necessary. The difficulty of raising cattle is also reflected in the fact that horsemeat is generally much cheaper than beef in Yakutia. But as the main milk-providers, cattle were crucial to the Yakut way of life. Horses were milked as well, but much of their production was fermented into kumyss, a much-loved, intoxicating beverage. Together, horses and cattle have been said to “embody the essence of the Sakha people and their identity” (A. Stammler-Grossman, p. 155). In June, the “month of the pine”, women went into the woods and cut down young trees, peeled off the layers of new growth, dried it, and ground the sapwood into powder. They then mixed it into the milk products as a kind of flour, and the chemical action of the lactic acid broke down the cellulose fibers. (p. 54). A variety of wild roots gathered from the alas meadows were another important source of food. They too were often ground and then dissolved in sour milk. Even fish and other animal product—including bones—were sometime dissolved in the mixture. The resulting product, called tar, formed a staple of the traditional Yakut diet. Large blocks of milk tar would be stored as simple frozen slabs immediately outside of the winter dwellings. Russian prisoners exiled to Yakut villages had a difficult time adapting to such fare. Unlike the other Siberian peoples, the Yakut made relatively little use of berries. In fact, they often mocked the Evenks as “berry eaters.” It has been suggested that the fear of bears dissuaded the Yakuts from intensive berry gathering. The Yakut also traditionally avoided mushrooms, as noted in a previous GeoCurrents post. They did, however, adopt the practice of mushroom eating from the Russians. Sturdy dwellings were another key to the Yakut way of life. In the summer, they traditionally lived in large, essentially temporary conical structures covered with birch-bark. In the fall, however, they repaired to their much sturdier winter lodges, timber-framed structures, with chimneys, covered with bark and earth. Sheets of mica or ice were sometimes used as windows, but they had to be small to avoid undue heat loss. In the early 1600s, the Yakut were firmly ensconced in the central Lena basin, with a population estimated at roughly 30,000. At that time, Russian empire-builders arrived on the scene, as we shall see in the next post. Forsyth James. 1992. A History of the Peoples of Siberia: Russia’s North Asian Colony, 1581-1990. Cambridge University Press. Jordan-Bychkov, Terry and Bella Bychkova Jordan. 2001. Siberian Village: Land and Life in the Sakha Republic. University of Minnesota Press. 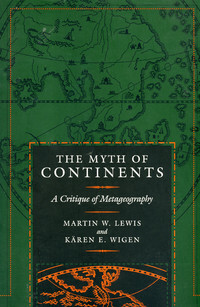 Granberg, L., K. Soiniu, and J. Kantanen, eds. 2009. Sakha Ynaga: Cattle of the Yakuts. Academia Scientarium Fennica. Okladnikov, A.P. 1970. Yakutia Before Its Incorporation into the Russian State. Translated from Russian, and edited by Henry N. Michael. 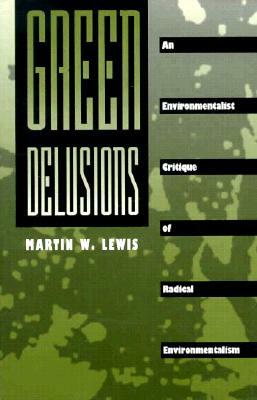 McGill-Queens University Press. Stammler-Grossman, Anna. 2010. “’Political’ Animals of Sakha Yakutia.” In Good to Eat; Good to Live with: Nomads and Animals in Northern Eurasia and Africa, edited by F. Stammler and H. Takakura. Center for Northeast Asian Studies, Tohoku University, Sendai, Japan. Takakura, H. ed. 2003. Indigenous Ecological Practices and Cultural Traditions in Yakutia. Center for Northeast Asian Studies, Tohoku University, Sendai, Japan.